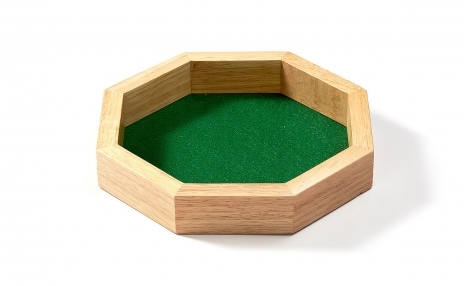 Light colored wooden dice tray with a green felt base. This dice tray prevents your dice from rolling outside the play area. Great addition to any game of dice.